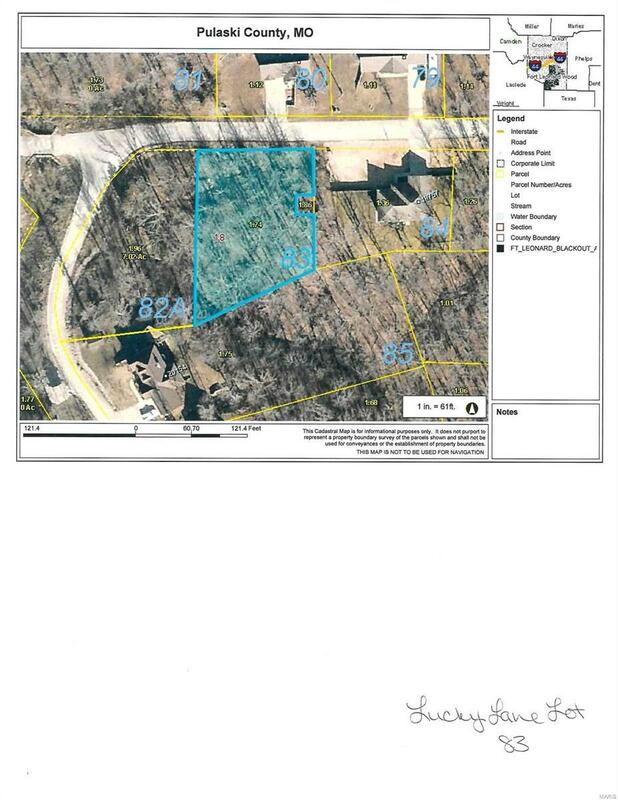 Build your dream home on this great lot, in Ridge Creek Subdivision, located in the Waynesville School District! Don't wait contact your builder today! Association Pulaski County Board Of Realtors Cable Available Yes Conditions Unknown Development Status Plat Recorded Disclosures Sellers Discl Not AvVacant Land Documents At Office Aerial PhotoNone Easements Utility Improvements None Lot Size Source County Records Lots 1 Ownership Private Possession At Closing Possible Buyer Fees YN Yes Property Type Residential Lots Restrictions Recorded RestrictnsSubdivision Selling Terms CashConventional Sewer Public Special Listing Conditions None Tax Year 2017 Taxes Paid 203 Transaction Type Sale Type Rural Utilities On Site Electric Water Community Zoning Res.